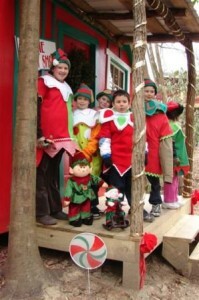 Nestled among acres of Christmas Trees is a haven of tiny little elf-sized cottages – each with its own elfish decor. 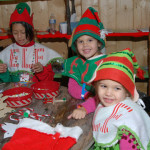 Every year, in late November, the Elf Village comes to life with holiday fun for kids of all ages. 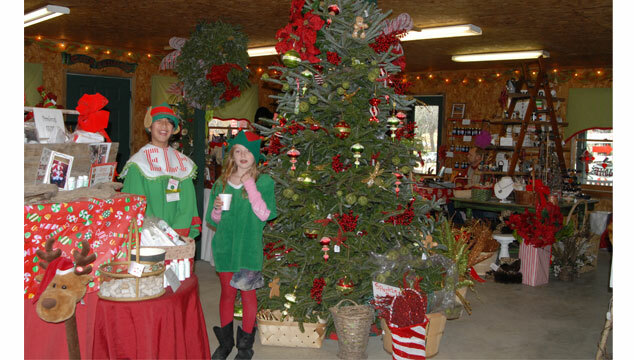 Your Holiday Experience at Tom Sawyer’s Tree Farm and Elf Village can include any or all of our fun festivities! Christmas Tree Shop with gifts and ornaments. On weekends we offer complimentary hot apple cider and cookies and popcorn… while supplies last. 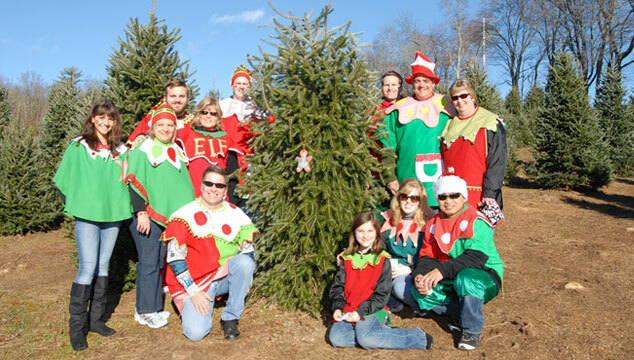 Tour of Trees – On weekends, enjoy a lively jaunt to choose your Beautiful Fraser Fir Christmas Tree. 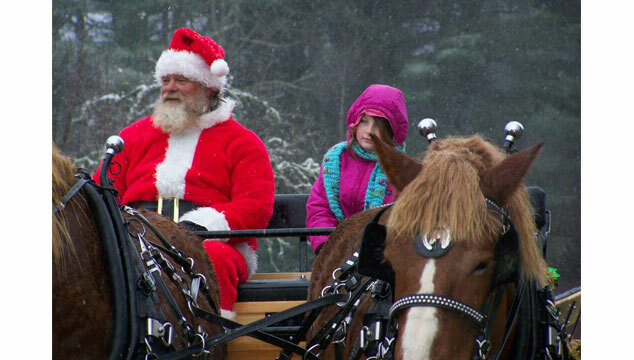 Horse and carriage rides – (available on Saturdays and Thanksgiving weekend) Come enjoy a special tour of the Fraser Fir tree farm from the Tree’s perspective. We have horse-drawn and antique tractor-drawn wagons for touring our beautiful 80 acre farm on weekends and special days (we let the weather and the horses help us determine which to use for our guests). $5 per person. The Elf Village – Enjoy our magical village of colorful, elf-sized Christmas tree houses located in a woodsy hollow by the stream. 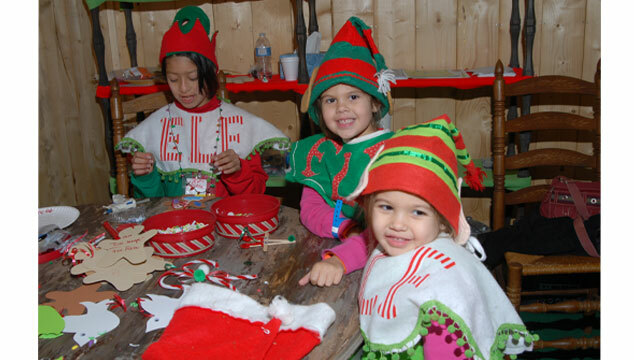 The Elf Village is filled with Holiday Magic for kids of all ages! Hours are Saturday’s 9 am to 5 pm, and Sunday’s Noon to 5 pm; Friday, Saturday & Sunday after Thanksgiving 9 am to 5 pm. $15 per child. Adults free. Family max $60. • The Passport Office – Where your photo will be taken and your Elf Village passport will be issued. 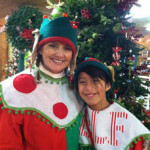 • The Uniform Shop – Where you can don an elf smock and hat as you enter the Elf Village. • The Craft Cottage – Work on a craft project that will become a treasured memory and decoration for your tree. 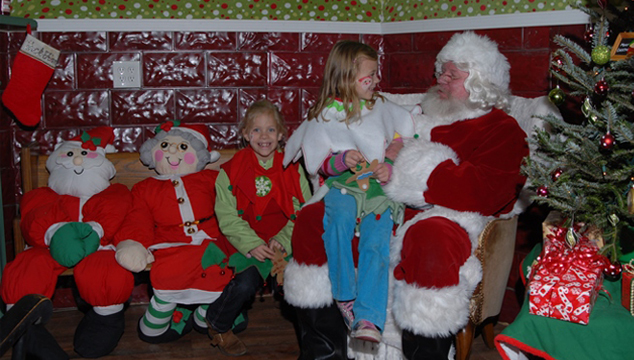 • Visit with Santa – Stop in and visit with Santa Claus in the Pavilion and tell him what you want for Christmas! • Santa’s Post Office – Write and mail your wish list to Santa. Wish List forms will be available or you can bring your own to our special post office. 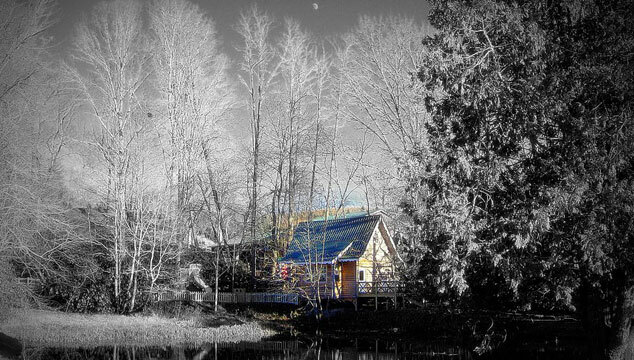 • Storytelling Cottage – Enjoy a Christmas story told by one of our Elves! • Elf Village Chapel – A blessing to all who visit our Elf-sized Chapel decorated with the Ten Commandments, The Lord’s Prayer & even a Menorah. • Elf Games – Many games to play! 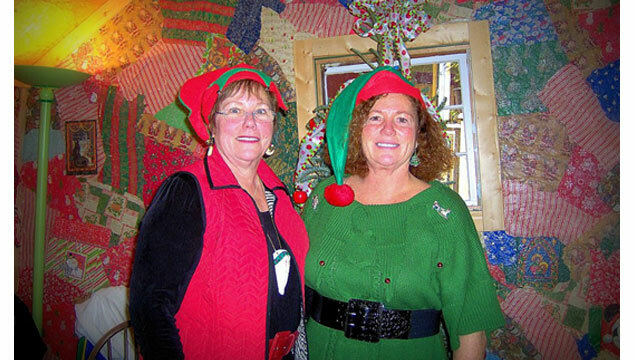 • Scavenger Hunt – Follow the clues and complete the Elf Village Scavenger hunt! • Roasted Marshmallows – Join us by the fire pit for this classic treat! • Photo Opportunities – Multiple photo opportunities are available including our beautiful antique sleighs and carriages. 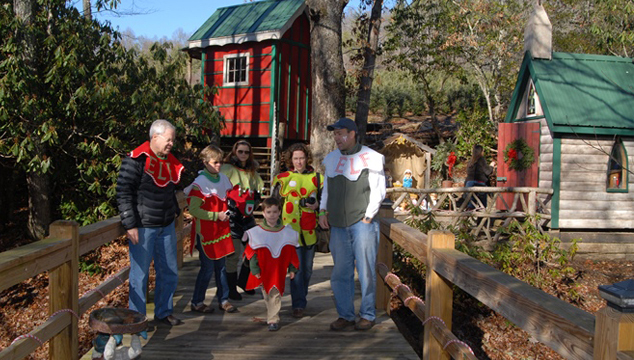 The Tree Farm, the Elf Village and the Farmstead Pavilion are available for Private Parties. Call us now as we are already booking for this season. 828-743-5456.